Don't make the mistake of thinking that we're anything less than thrilled about this. 'Cause, you see, when you take our love of SLC and multiply it by our love of sly design in all its forms, the sum is absolute joy. Otherwise known as Salt Lake Design Week. In the words of the organizers, SLDW is meant to, "raise the public awareness of the impact that all design — graphic, product, fashion, architecture, advertising, etc. — has in Utah." In the words of us, "This is f*cking awesome." 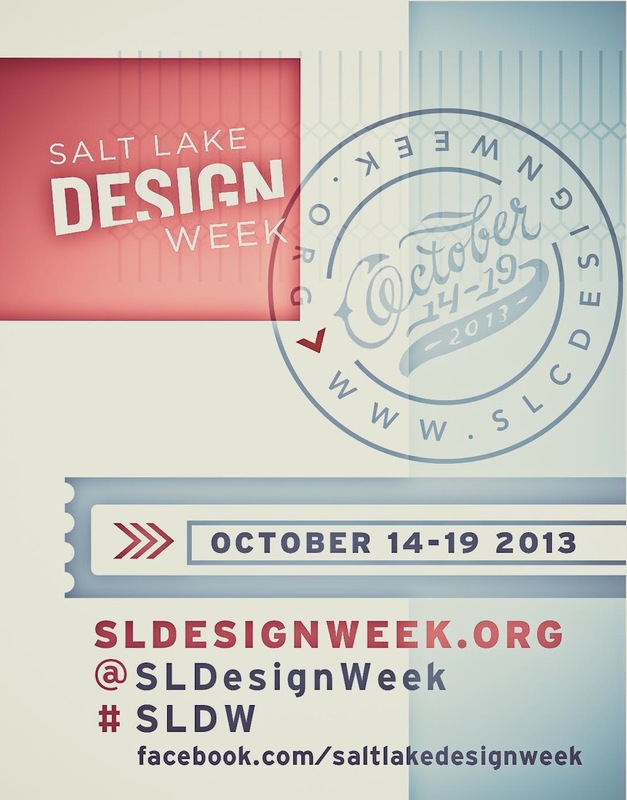 SLDW will see a slew of creative design professionals from varied walks. For the edification of any who have the sense to take part, there will be forums, parties, workshops, tours, and a host of other opportunities to be enlightened at local venues throughout the week. The full schedule can be found on their website [below], but given the consummate list of involved groups and sponsors, we feel COLLECTIVELY certain that every last inhabitant of SLC would benefit famously from attending any of the events. Case in point, a couple of workshops will be hosted at the new Adobe campus in Lehi; summon this to mind. The building is a design sensation worth walking through and learning from. 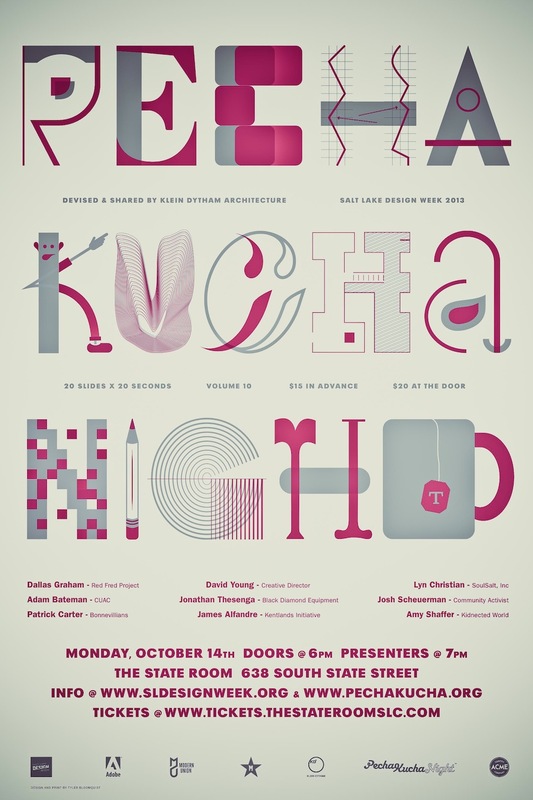 In a particularly inspiring collaboration that we hope will aptly get everyone's creative juices on the flow, SLDesign Week will kick off with Volume 10 of Pecha Kucha SLC. This Monday, October 14th, all the magic starts with the 20x20 format we've come to know and love. Details can be found on the flyer below, but for our part, we can say that we're pretty jazzed to plant our asses in our seats promptly at 7pm. That way, we won't miss a word from two of the speakers, favorites Josh Scheuerman and Dallas Graham, among others. We'll be checking in and out of the week's events for certain. Get yer fine self involved; every last one of these folks has something undoubtedly stirring to say/share/convey, and you'll want to be on the receiving end of the enlightenment. And stay plugged in...we'll have a sneaky little preview soon of Saturday's closing party, curated by the incomparable Gary Vlasic, and brimming with a campfire-y, Pendleton blankey, hot-toddy 'n' mittens sorta feel. We'll be huddled nearby, for sure.